Our website address is: http://theinterioreditor.com. Your privacy is important to me and will ensure that any information that is obtained via subscribing to The Interior Editor blog is only used for informing you of new posts. All information that is obtained from you will continue to be processed nd transferred in compliance with all applicable Data Protection Laws and Regulations (GDPR). 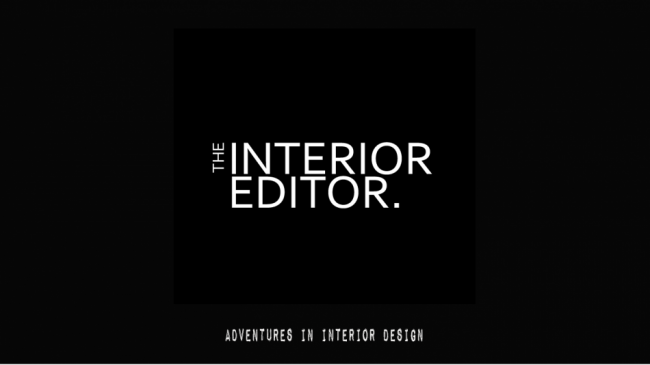 The Interior Editor sends out 1-2 newsletters a week to anyone that subscribes to the site. This newsletter only contains excerpts and an image of the blog post in question that has been published. Mailchimp is the email marketing service used by The Interior Editor to send out to those that have subscribed to the weekly newsletter. In order to send the newsletter, we collect User’s first name, last name and email address. This information is not shared with any other company. We provide you with an easy method of unsubscribing to this newsletter or you can manage your preference at any time. If you subscribed to my weekly newsletters before the 25th May 2018, you will continue to receive it. I have and will continue to provide you with an opportunity to unsubscribe with each newsletter sent by The Interior Editor. I do not share your data with any other company. Personal data is processed and stored for as long as Users consent to its processing.